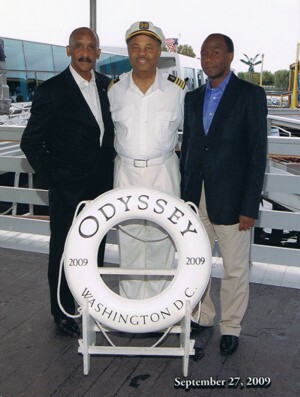 For 25 years International Goodwill Ambassador Oscar J. Webb has worked with Congressmen Donald Payne known as the” God-Father of African Affairs” Donald Payne was the first Congressmen of African Decent to reach Congress in a Northern State. The loss of this great leader will be felt however his legacy will go on. As we look at the accomplishments of this great Civil Rights Leader the cry for us is to continue the work for all people especially those are without voice. WCN and Ambassador Webb wish the family and constituents Donald Payne served tirelessly the peace that only God can provide during this difficult time. We join you in your sorry and ask that the Comforter provide for every need. We celebrate his life and charge forward to build bridges between Americans of African Descent and our beloved Mother Land Africa and its emerging leaders. As we move the International conversation from Civil Rights to Platinum Rights be assured that the lessons taught and learned from Congressmen Payne will be eternal. Thank you for sharing this wonderful leader with the world. We are all better that he lived and contributed so much to our people. Donald Milford Payne (July 16, 1934 – March 6, 2012) was the U.S. Representative for New Jersey’s 10th congressional district, serving from 1989 until his death. He was a member of the Democratic Party. The district encompasses most of the city of Newark, parts of Jersey City and Elizabeth, and some suburban communities in Essex and Union counties. He was the first African American to represent New Jersey in Congress. Payne was born in Newark and was a 1952 graduate of Barringer High School. He did his undergraduate studies at Seton Hall University, graduating in 1957. After graduating he pursued post-graduate studies in Springfield College in Massachusetts. Before being elected to Congress in 1988, Payne was an executive at Prudential Financial, Vice President of Urban Data Systems Inc., and a teacher in the Newark Public Schools. In 1970, Payne became the first black president of the National Council of YMCAs. From 1973 to 1981 he was Chairman of the World Y.M.C.A. Refugee and Rehabilitation Committee. Payne’s political career began in 1972, when he was elected to the Essex County Board of Chosen Freeholders, serving three terms. In 1982, he was elected to the Newark Municipal Council and served three terms, resigning in 1988 shortly after his election to Congress. 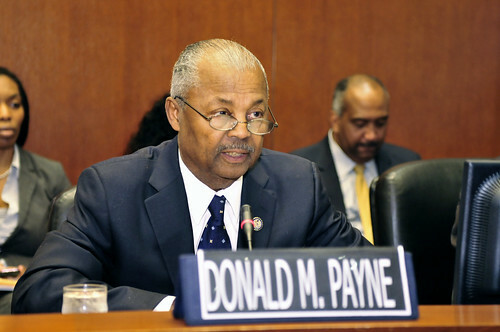 While in the House of Representatives, Payne was known as a de facto ambassador to Africa. He helped secure $100 million to help prevent and treat AIDS, tuberculosis and malaria, mostly in sub-Saharan Africa. Darius Mans, president of Africare in Washington, called Payne a committed legislator who cared dearly about the plight of Africans. U.S. Congressman Donald Payne was elected to the House of Representatives in 1988, the first black congressman elected from New Jersey. 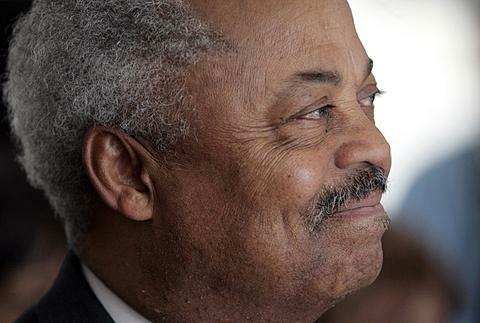 In the Capitol, he championed many causes including education and global affairs. As a member of the House Foreign Affairs Committee he worked to promote democracy and protect human rights overseas.